Home /Life/Home Plug: Does It Really Work? In my previous post, I shared with you how I managed to connect my own better-performing wireless router to the StarHub-issued Home Gateway router for WiFi home networking access. Now I have another situation: my Fibre Terminating Point (TP) is in my living room, and my desktop computer is in my study room. 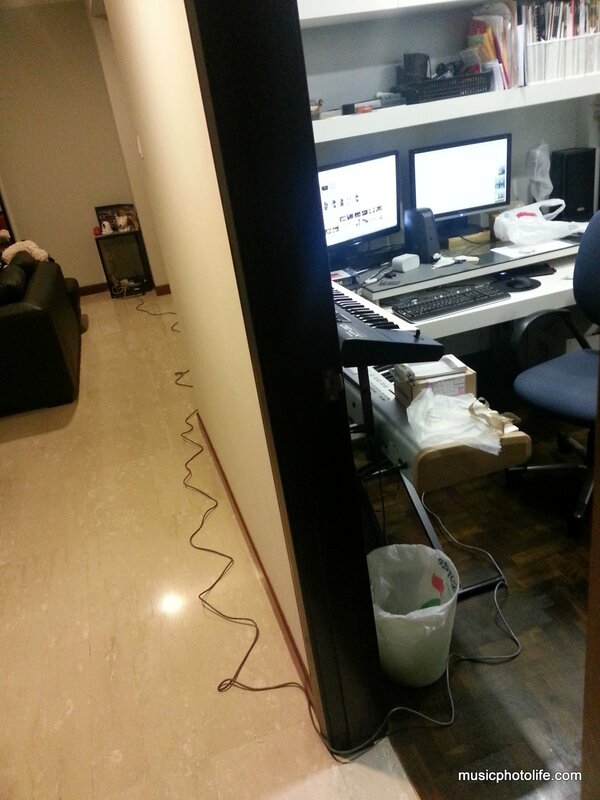 I can’t hard-wire from the TP to my study, too much hassle. And wireless doesn’t give me the maximum subscribed bandwidth (I can only get 30Mbps). My next best alternative: home plug. My question: does it really work? I borrowed a pair of Aztech HL-108E homeplugs from my friend, tried it, and achieved about 40Mbps. Still a far cry from 150Mbps that my Fibre subscription offers (I tested, hard-wired, from living room router to my study room PC, yes I can get 150Mbps when running speed test). Eventually, I made a decision to get the latest pair of Aztech HL-115EP. These pair offers theoretical 500Mbps speeds, comes with pass-through 3-pin sockets so that you don’t waste one socket on the home plug. Paid $60 each from Bizgram (cheapest as far as I know). I was pleased that this pair helps me attain about 70Mbps speed. Before you think further, let me advise you first. Don’t expect home plugs to achieve the full theoretical bandwidth, because of numerous environmental factors, like electrical interference from other devices within the household, or poor electrical wiring. Some electrical points might deliver better speed, so you have to try around. Then why do I still go ahead with using home plugs? The reason is not to congest my wireless bandwidth. As I have mentioned, my maximum wireless bandwidth is 30+ Mbps. If I were to connect my desktop via WiFi and do heavy downloads, then my other wireless devices like phones, tablets, would have no bandwidth left to use. Instead, if I connect my desktop with homeplug, I would be utilising 70Mbps using wired connection, while my wireless devices still can enjoy the full 30Mbps. Don’t feel sore about not able to utilise the entire 150Mbps bandwidth, for in real life you will not achieve this speed when accessing websites due to other network bottlenecks. Since I am unwilling to go all out by getting contractor to lay cables, I choose to implement homeplugs over WiFi. Everyone has his own preferences. This post is to share with you that it is not possible to achieve the full bandwidth as claimed on the homeplugs, but they are more reliable than WiFi and allows the subscribed bandwidth to be better utilised across multiple access points.